Note: This story contains spoilers. “Survivor” contestants have a reputation for double-crossing one another, but one competitor hit a new low when he outed a fellow player as transgender on Wednesday night’s episode. Jeff Varner told his tribe ― and the rest of the world ― that Zeke Smith is transgender during a shocking tribal council in the beloved reality TV show’s 34th season. 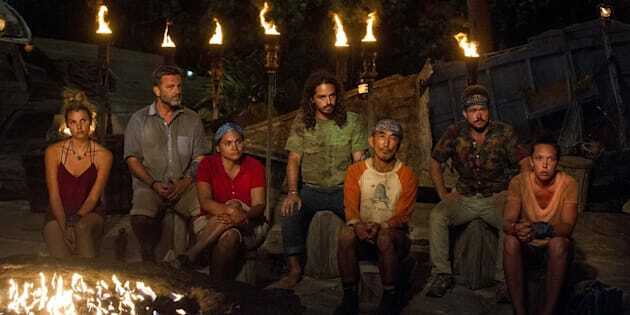 According to EOnline.com, Varner admitted to “Survivor: Game Changers” host Jeff Probst “that he felt he was going home,” and then proceeded to out Smith in an attempt to paint him as untrustworthy and perhaps inspire other contestants to switch their votes. Zeke Smith was outed as transgender by Jeff Varner on Wednesday night's episode of "Survivor: Game Changers." Smith, who identified as a gay man in both seasons he’s appeared on “Survivor,” but who had not come out as trans, was blindsided by Varner’s comments. In fact, several of Smith’s team members were outraged by Varner’s disclosure, according to The Hollywood Reporter. Varner attempted to clarify his position, claiming he’s an ally of the transgender community. But even after apologizing for outing Smith, Varner was voted off the show. Smith, a 29-year-old asset manager from Brooklyn, New York, said he never wanted his trans identity to play a part in how he was seen or treated during the competition. Nick Adams, director of GLAAD’s Transgender Media Program, spoke out about the disturbing moment in a press release posted on the organization’s website minutes after the episode aired.